You do have the desire to strengthen your muscles, increase your flexibility and improve your concentration. We have come with some tips which can do it all for you. You can feel more relaxed and at calm. Yoga is a perfect solution for you! With the help of this article, we will discuss all about yoga, its history, its importance in our daily life and its benefits drawn on us. Let's understand first about what it is in actual! It is quite popular now a days and very crucial for those who are looking to improve flexibility, strength or losing weight. Yoga can be done anywhere, either in your home or classroom. It is a good remedy to reduce stress and allow a person to relax. It is like a philosophy, passion and way of life for those who are involved in Yoga. You may be involved with Yoga for the sake of exercise, but you may also find yourself wrapped in philosophy and spirituality which is brought by Yoga itself. It is believed that Yoga was first originated in India during Golden era. The actual meaning of Yoga in Sanskrit is "to control", "to unite" or "to yoke". It can be translated as "joining", union and uniting. The union is between "self" and the "spirit". It plays a vital role in Hindu religion as it symbolizes their natural state of being, spiritual path and enlightenment. Since it is a part of Hinduism, hence yoga belongs to one of the six hindu schools of philosophy. 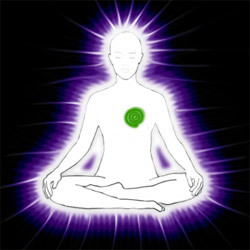 If you go in depth about yog, you would be able to know how it is used while doing meditation. It also deals with the major part of Buddhism, as it is a part of their meditation practices. It got evolved with Islam and Christianity in the early stages. It's becoming popular day by day, not only for its spiritual benefits but also for physical advantages. You can go and take yoga classes in your nearest gym, a yoga studio or within your home. Yoga means a lot for human body, though it doesn't cure all the illness. It can be helpful in any situation, lifestyle or schedule. It has become popular due to increase in health and body awareness in order to have a better control over your body. It makes you more flexible in order to adapt to any change in your surroundings. It makes you internally strong and will help you to increase your strength. It maintains a balance in your life and emotions. It is helpful to increase your stamina. It will help you to improve your body alignment. It can reduce your joint aches. It would help you in reducing your stress and work pressure. You will feel refreshed. It will let you know about your body and what it needs time to time. You can sleep well by doing yoga regularly. It enhances your self confidence. It helps you relax throughout your day. There are numerous physical and mental benefits, but above benefits are the major ones. Those, who are suffering from certain diseases, can get benefited from yoga. It is good for pregnant women too, as it helps them maintain good health during pregnancy. Is Yoga Your Cup of Tea? Yoga is useful for everyone. No matter how old you are, how you dress up, how much you weigh, what you do for living, where you live or which religion you belong, anyone is eligible to do yoga. It might be the scenario that you have certain condition or a recent injury that can be challenging or dangerous to perform certain type of yoga, specific poses or breathing techniques. But experienced yoga instructor will help you with it. If you are very old and feeling uncomfortable with your body shape and extremely inflexible, you should begin with yoga class regularly. There are numerous types of Yogas defined, however, we have described below few major and popular Yogas all over the world. Hatha Yoga: Hatha Yoga which describes the motto "united by the means of discipline of force", helps to reduce stress and have mastery over body as a way of attaining a state of spiritual perfection. Hatha Yoga has become popular in the West as a form of exercise that develops strength, bodily relaxation and mental concentration. Vinyasa Yoga: Vinyasa means "arranging something in a specific manner" like poses made for Yoga. For example: In vinyasa yoga, you need to coordinate movement with breath to flow from one pose to the next pose. Bikram Yoga: This is a form of yoga which became popular on the name of Bikram Choudhury in the 1970s in California. In this, you get to practice same 26 poses repetitively in 90 minutes. Yoga instructors go through a nine week training program in which they learn and practice. Presently, there are more than 1,650 Bikram studios build around the world. Ashtanga Yoga (Power Yoga): Ashtanga Yoga was first brought to the world by Sri K. Pattabhi Jois. if you join ashtanga class at a studio, you would be led nonstop through one or more of ashtanga series, while breathing in for one pose to another. Every series is a set sequence of asanas in the specified and same order. It is fast paced, physically challenging and rigorous. Iyengar Yoga: This Yoga was named after and developed by B.K.S. Iyengar, who was the direct disciple of T. Krishnamacharya. He and his team including Pattabhi were responsible for bringing the practice of modern yoga to the west. Kundalini Yoga: This Yoga is a blend of Bhakti Yoga (the yogic practice of faith, devotion and chanting), Raja Yoga (the practice of mediation/mental and physical control) and Shakti Yoga, (for the expression of power and energy). Restorative Yoga: If you want to understand how kundalini works, first you need to understand that you have a snake in your spine. The word "Kundal" means "circular". Hence kundalini becomes noun for coiled snake. Kundali means a ring, coil of rope or bracelet. It was first adopted as kundalini into Hatha Yoga in 15th century and the same was used in Yoga Upanishads by 16th century. Jivamukti Yoga: Jivamukti is a type of Hatha Yoga and got the name in early 1980's by David Life and Sharon Gannon to reflect true aim of yoga, which is liberation and self-realization. Jivamukti Yoga Class includes 5 tenets: Dhyana (Meditation), Ahimsa (Non-Violence), Bhakti (Devotion), Nada (Music) and Shastra (Scripture). Do you wish to practice in private or public? These two questions may arise in your mind while you decide for carrying out yoga sessions. You can choose local gym if you are already a member in any nearby gym. You can choose your home too for Yoga practice. You can choose yoga studio or class. You can choose any private instruction in your home or other location within your home or outside of your home. You can choose outdoor locations like local park, beach etc. Yoga studios may cost you much, however, you can save on supplies if instructor provides them. If your gym offers Yoga classes, then it would be an added advantage for you as you will get the classes for free. If you wish to practice it at home, you need to buy all the necessary equipment for the same. Outdoor locations do require equipment and prior planning. Private instructors charge hourly but may offer discounted prices if you buy advance or in a bulk. Hence in conclusion, Yoga is an exercise to keep you fit and fine throughout the day. It is an art of living. You will always feel refreshed by doing Yoga. There are no side effects of Yoga. It is good for your health.